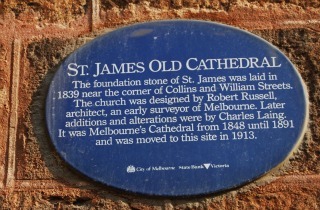 The St James’ Old Cathedral just has to be on your list of places to visit when you’re in Melbourne. ...............So I left none the wiser about it's significance in the scheme of Melbourne's history. ............But now I’ve told you about it, get here quickly before it’s advertised properly and gets too busy! Janette Wells the Parish Secretary showed me round and told me a lot about the history of the Old Cathedral (it was a Cathedral until 1891 when the newly built St Paul’s Cathedral became the Cathedral and St James’ was relegated to parish church status). You can tell she loves the building and it's history but watch out because she's a pom too! There’s a small museum in the back of the church with historical documents etc including books with the names of the pioneer men and women of Victoria. This room is opened on request. One bit I particularly liked was the fact that one of the pew seats had had part of the bookrest removed so that a City Councillor could squeeze his portly body inside - made it bring a bit of history to life for me! 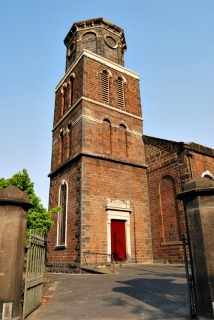 St James' Old Cathedral is open from 10am-4pm Mon, Tues, Wed and Friday and from 2pm-5pm on Thursdays. 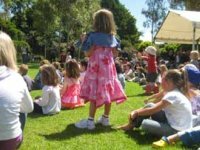 It’s located at 2 Batman Street, West Melbourne right next to Flagstaff Gardens. Just as an aside – the name Batman comes from the founder of Melbourne, not the Movie!